This is another question inviting the discussion of boundaries. The sentences that pull at me the most from the reader above is “any ideas on how to take care of my family, home, mom and maybe myself, too?” and “now my mom has nobody else, so I need to be there for her, too”. If one’s self is not made a priority, there will never be balance in life. People fall in line on a spectrum regarding how they care for others in relationships. On one end of a spectrum there is selfishness or relationship “under-functioning” and on the other end of the spectrum there is codependency or relationship “over-functioning”. Most clients I see who struggle with balance and guilt associated with self-care struggle with over-functioning. In essence, they care for others at the expense of themselves. It is hard for these people to ask from others and take what they need for themselves because they feel bad if they do. Over-functioning people often feel that others won’t be okay unless they are there to make sure of it. It sounds like there are two things needed for the reader above. One is some time to adequately grieve the loss of her father and the other is to create a different balance of care with her mother and family. The reader must put herself back in the equation of things important. Also, I would examine the relationship role she has with others. How balanced are her relationships? 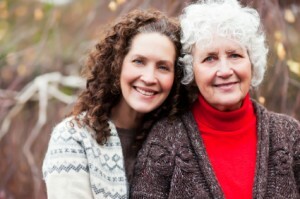 How often is she in the position of being cared for or do the dynamics always tend to involve her in the helping role? Usually, over-functioners know how to “do” and be “of help”, but they rarely know how to let others do for them or ask for help. This is a difficult role to change, but one that is necessary if greater personal and relationship satisfaction is desired. So, in a nutshell, the above question is an issue of boundaries. And, old habits and beliefs are hard to change. But, the reader who wrote in sounds as if she feels she is obligated to give to others at the expense of herself. Boundaries imply responsibility – responsibility to ones’ self while allowing others to be responsible for their own self. Often over-functioners feel that other people can’t care adequately for themselves or think they are needed for that person to be okay. This creates an unhealthy relationship dynamic, victimizes the over-functioner (because they feel they have to do what they are doing and don’t recognize that it’s a choice) and also sets up a belief that others aren’t capable of caring for themselves. The difficulty with this work is changing firm beliefs about self and others and changing patterns of behavior that usually invoke guilt and discomfort. But, ultimately, boundaries are about coming back to one’s Self – coming back and assessing one’s own needs, feelings, and direction in life. It doesn’t matter if the “problem” involves children, a spouse, a parent, friends or work – the culprit and remedy are usually the same – poor boundaries and return to the Self. It’s a difficult change to make if you’re not used to it, but well worth it! If you or someone you know has a question you would like to submit for my weekly blog post, please feel free to submit it via my website under the “Ask Sylvia” section in the middle bottom column on homepage. All questions will be received and answered anonymously. Sylvia Flanagan, MFT is a San Diego therapist with a private practice in Mission Valley. For more information about San Diego Therapy, feel free to call or email her. Office hours are Monday through Thursday 9:00 to 6:00. Made your appointment? Here are some useful links to help ensure everything goes smoothly your first session. Feel free to call or email me with any questions. Visit us on Google+ (e) sylvia@sandiego-therapist.com Sylvia Flanagan is a Licensed Marriage and Family Therapist #43147 Copyright ©2019 Sylvia Flanagan. All Rights Reserved. Website designed and maintained by Go Boy Go Design.